To ask Karen Lynch questions, please sign up. Karen Lynch I'm currently writing Rogue, book 3 in the Relentless trilogy. When will Rouge be out?!?! I have to know so many things. Nikki Jefford is 90% done with Hellion: ARC! Fans of the Relentless series are in for such a treat! I've loved Jordan from the moment I met her and been "patiently" waiting for her to get her own novel. Hellion has gone above & beyond my expectations. I love this book so much! 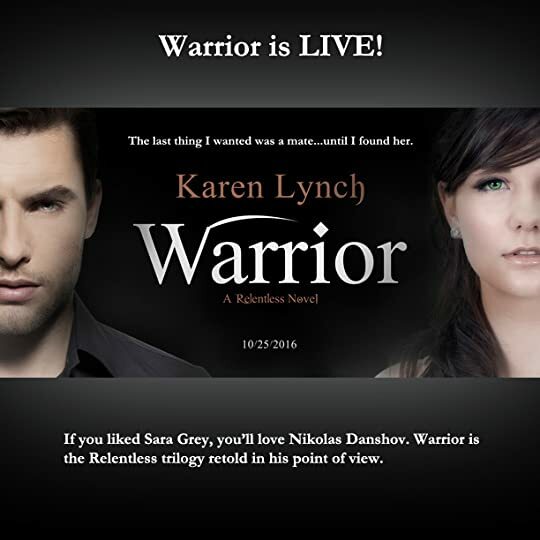 Karen Lynch made a comment on Warrior News!
" Rachel wrote: "Will it be available in print?" Yes. Print version is not available for pre order. It will be available on or after the release date. "